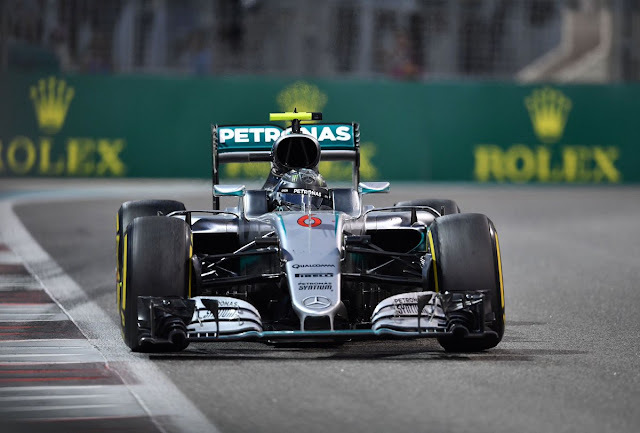 Mercedes' Nico Rosberg finished second in the Abu Dhabi Grand Prix behind teammate Lewis Hamilton to claim his maiden World Championship, following an encapsulating final race of the season. Starting on the grid in second place behind Hamilton, the German knew a podium finish would be enough to finish top of the Drivers' Championship standings if his teammate won the race itself. Cue drama and controversy. Right from the get go, the action came thick and fast, as Max Verstappen collided with Force India's Nico Hulkenberg in the opening seconds, before coming back strong to finish fourth. The Belgian driver had temporarily overtaken Rosberg in the race to demote the German to third, but the Mercedes racer fought back to regain his position in the latter stages of the race. 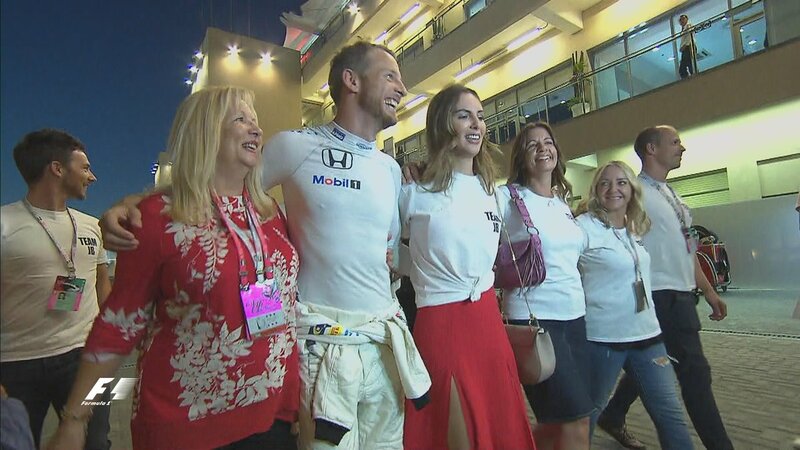 Racing for the final time in his storied career, Jenson Button was forced to retire his car due to an untimely steering malfunction, and the Abu Dhabi crowd gave the Brit a standing ovation as he climbed out of his car in the early stages of the race. "A massive thank you for your support, it's been a rollercoaster. I'm happy. I had a fantastic career"
Ferrari's Sebastien Vettel went through the gears to storm up to third place and apply real pressure on his compatriot as the gap closed down, but Rosberg continued to stay cool in the heat of the desert. A big talking point will be the actions of Hamilton, who had a debate with his Mercedes constructors on the radio, clearly going for the title and ignoring the instructions given to him. Following the race, Hamilton said "Honestly, I feel great. I want to say thanks to my family for all the support and this team - I think that's 32 wins since I joined this team. "And a big congratulations to Nico, of course. His first world championship." Rosberg was especially proud of his achievement, following in the footsteps of his father Keke Rosberg, winner of the 1982 F1 World Championship."Unreal. I am very, very proud. I have done the same feat as my dad achieved. He will be here in half an hour and I am so excited to see him." 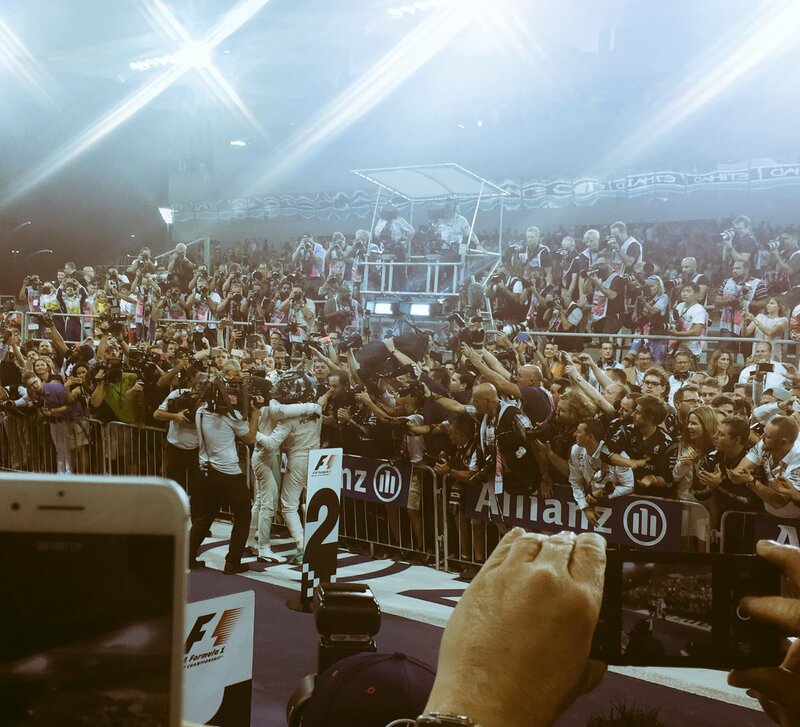 "I want to say congrats to Lewis for his efforts. It's always tough to beat you and you were fast all year as always"